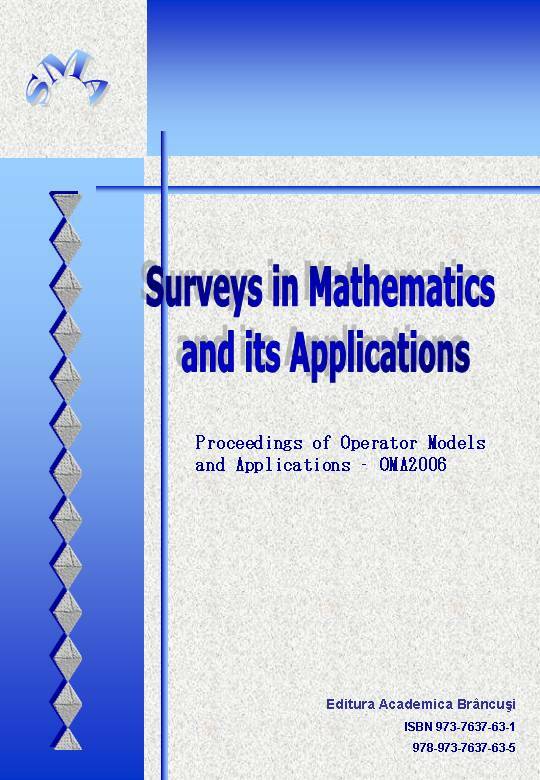 This is a special issue devoted to the Proceedings of Operator Models and Applications - OMA 2006 - a workshop held in Timişoara (România) in the framework of the project The promotion of scientific research concerning: operator models and applications (MODOP)- CEEX grant from the Romanian Ministry of Education and Research, code PR-D11-PT00-48/2005, contract no. 69/2006. The editors of this volume: M. Buneci, M. Joiţa, V. Lupulescu, D. Popovici and V. Ungureanu.